After years of discussions, Encinitas City Council gave final approval on an ordinance to ban expanded polystyrene (EPS) foam food service items at restaurants on November 16th, 2016! City facilities and city-sponsored events are also prohibited from using EPS foam. 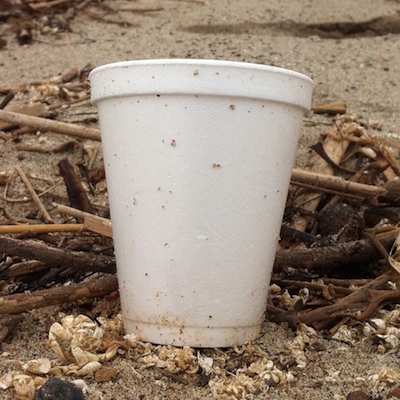 Polystyrene is a top ten item found at beach cleanups, it is rarely recycled and there are possible health concerns linked to polystyrene. Since 2014, when Encinitas passed a plastic bag ban, there have been discussions over what type of ordinance to pass and whether an educational program would suffice. The Surfrider Foundation San Diego Chapter was involved every step of the way by attending workshops. sending in letters of support and testifying at council hearings.